If you are looking for experienced auditors in this locality then Miranda Management and Accountancy Services team is here. We are Based just a short ride outside of the beautiful town of Hounslow, West London. Miranda Management and Accountancy Services Ltd are a forward thinking and dynamic company specialising in accountancy services. If you are a business looking for accountants in Hounslow you’ve come to the right place. 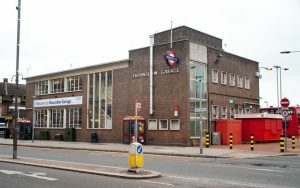 Hounslow is a town blooming with small businesses and start-ups, pumping new energy into the centre. It encompasses the benefits of central London whilst keeping the community spirit of a small village, and that’s why we love it so much! At MMAAS Ltd we understand the importance of a good accountancy service. From the moment you have an idea for the business, to your first pay check; to compete with big brands and names, it’s important to keep track of your finances and recognise current market trends, especially knowing what brings in money and why. Our missions at MMAAS Ltd is to help small businesses in and around Hounslow to manage their finances efficiently. With our services we can be there every step of the way for you and your business; from formation to consistent bookkeeping and annual reports, to helping you keep track of your payroll and getting the hang of personal and business taxes. Our expert team can also provide you with accurate self-assessments and confirmation statements, as well as figure out HMRC refunds and the current VAT laws. Your financial needs are our priority and we take great pride and pleasure in providing you with an honest and trustworthy bundle of services and consistently give you advice and answer all your questions. Our office is based in Stockley Park, Uxbridge. If you’re a local business based in Hounslow, that’s only a 23 minute car ride from the centre. There’s also free parking available for all our clients at Stockley Park too. If you’re using public transport, there are plenty of options from Hounslow railway station. Or you can reach us by bus station which would be around one hour journey. Stockley Park is close to M4 and M25 motorways and there are four tube and two rail stations, so it’s fair to say there are some great links to us! We look forward to hearing from you and hopefully working with you.